Original Release: 2005. Platform: PC. Developer: Infinity Ward. Publisher: Activision. Available on Steam. Last week brought us a new Call of Duty game, prompting the usual annual discussion about whether the series is still worth playing. 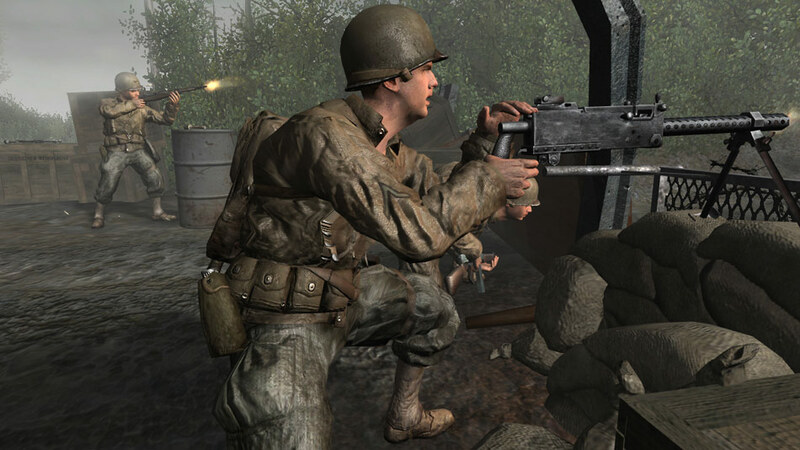 But this time around, I've been considering another angle: "Should Call of Duty revisit World War II?" It's a fair question. When the series first launched in 2003, it sat among the countless WWII shooters that dominated store shelves. Activision produced another two Nazi-gunfest sequels (three if you count World at War) before switching gears completely with CoD 4: Modern Warfare. To its credit, MW was a refreshing change of pace and an undeniable hit that changed the industry. But today we have the exact opposite problem: Eight of the twelve core Call of Duty games are modern or near-future shooters. Even if you like Black Ops III, it's pretty clear the series needs a new direction. Or at the very least, the opportunity to revisit an old one. 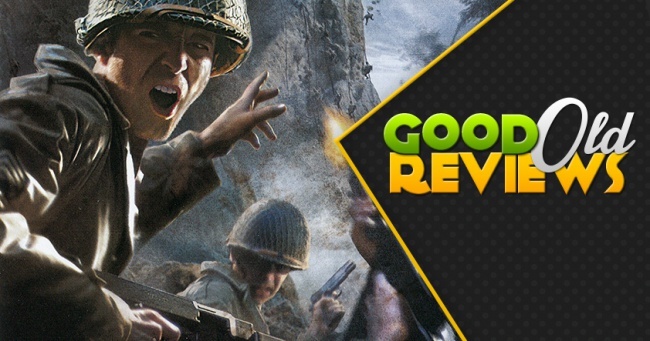 In that spirit, it seems appropriate to review Call of Duty 2, the most successful game from Activision's original World War II line. If released today, would it attract the same audiences who buy up Call of Duty sequels every year? Probably not - while the game still plays wonderfully, it lacks much of the substance and polish that made Modern Warfare a brand name. But at the same time, it's so well-crafted that I was having too much fun to care about any faults. Call of Duty 2's campaign - or rather campaigns - follows individual soldiers opposing the German army on all fronts. A Russian private defends Moscow before taking the fight to the Nazis in Stalingrad. 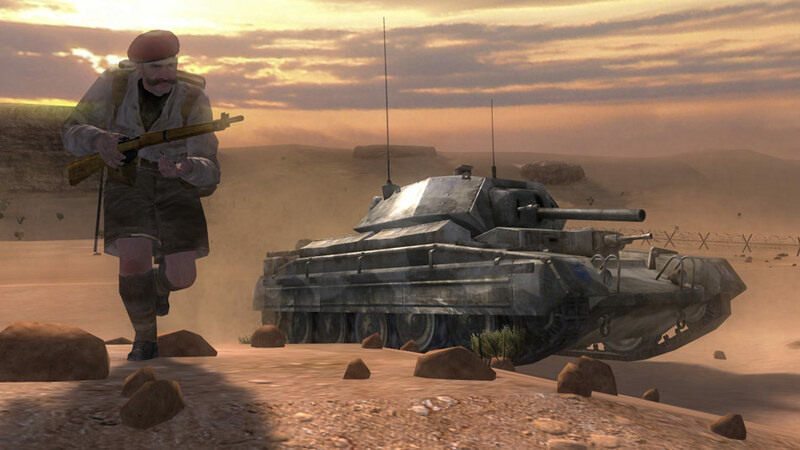 A British sergeant and a tank commander take turns securing control of North Africa. American forces take part in the Normandy D-Day landings before pushing into Nazi Germany. As you progress in each campaign, you'll even participate in historical events like the Battle of Stalingrad, the Second Battle of El Alamein, or the capture of Pointe du Hoc. Yet for all these campaigns, Call of Duty 2 is missing one thing: An actual story. The single-player mode is basically a World War II Greatest Hits Album, borrowing memorable settings and battles from history with minimal context. Not that Call of Duty 2 needed context in 2005, back when pop culture was saturated with WWII movies and games. Still, having the entire plot consist of "Let's fight Nazis" feels strange outside of Wolfenstein or Inglorious Basterds. To be clear, diving into the action is still an absolute blast. 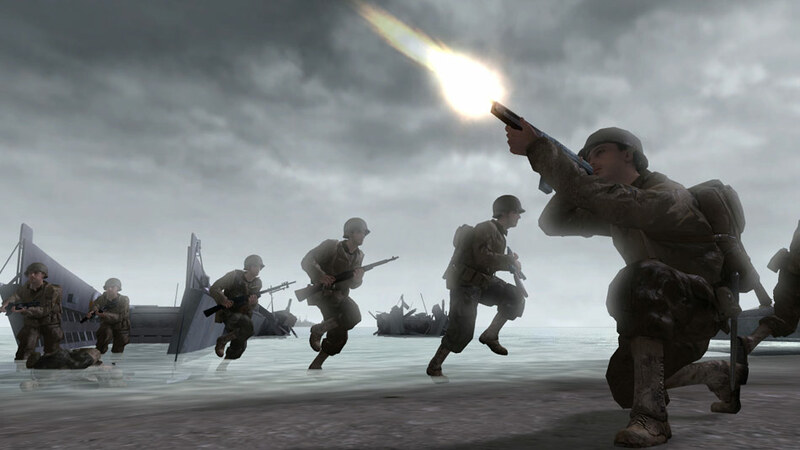 Call of Duty 2 offers the same rock-solid gunplay that's defined the series, despite aging graphics and 1940s weaponry. And while the controls can be a touch awkward - specifically when you forget Iron Sights are lowered manually - they're an absolute dream compared to most retro games I've covered. If your shooting mechanics are functional after a decade, you don't need a story, just an appropriate setting with enemies to fight. And few historical settings have better villains than Europe during the Second World War. The problem is Call of Duty's lack of story means it has no sense of dramatic pacing. Your training mission begins on an active battlefield while World War II is well underway. The game ends as America crosses the Rhine River two months before Germany's surrender. Everything between those missions are packed with intense battles that, while exciting, feel pretty similar in their overall stakes. War isn't something that begins, progresses, or ends in Call of Duty 2 - it's just something that's happening. Compare that to the original Call of Duty, where the difficulty and intensity ramp up as you approach Germany. 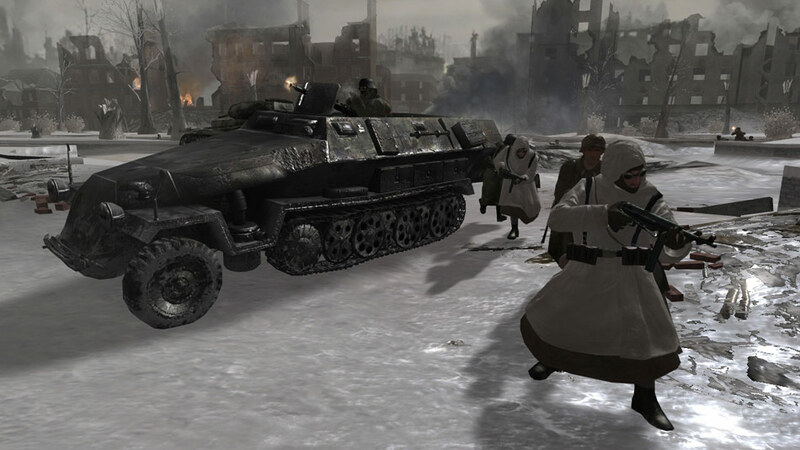 The final mission sees the player invade Berlin, raise a Soviet Victory Banner over the Reichstag building, and witness the end of World War II. Those are powerful dramatic moments that the sequel never quite managed to capture, at least not on a grand scale.